Polycythaemia vera (PV) is an uncommon chronic myeloproliferative neoplasm characterised by increased red-cell mass. The condition is currently managed by phlebotomy and/or palliative cytoreductive therapy, most commonly using hydroxyurea (HU). However, around 25% of patients have an inadequate response and/or unacceptable adverse effects; furthermore, patients with resistance to HU appear to have shorter survival than other patients with PV. Recently, a second-line treatment has become available. Ruxolitinib, an oral inhibitor of the Janus kinase (JAK) 1 and JAK 2 tyrosine kinases, has recently received regulatory approval for the treatment of patients with PV who are resistant to or intolerant of HU. This treatment offers the potential to significantly reduce phlebotomy requirements and improve the symptom burden. 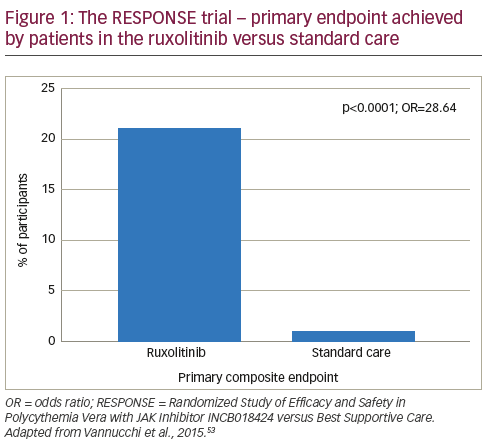 However, in order to determine which patients will benefit most from ruxolitinib, it is necessary to identify those who are inadequate responders to HU, a definition that is not currently consensual in the literature. Five patient groups, for whom ruxolitinib may be a beneficial second-line treatment option, have been proposed. These comprise patients who are at high risk and retain a high symptom burden after HU, require frequent phlebotomy, have an elevated leukocyte count, are intolerant to HU or interferon, or have palpable splenomegaly. Jean-Jaques Kiladjian has received institutional research funding from Novartis and AOP Orphan and particpated on advisory boards for Novartis, Shire and AOP Orphan. Yvonne Francis and Juliette Soret have nothing to disclose in relation to this article. This study involves a review of the literature and did not involve any studies with human or animal subjects performed by any of the authors. Despite advances in the treatment of PV, the symptom burden is often underestimated by physicians and is poorly managed, resulting in impaired QoL,14 restricted participation in social events and physical activity.6 Most therapies in PV appropriately aim to reduce thrombotic risk, which is the first cause of mortality and morbidity in the short term, but do not address PV symptoms. Recently, the Janus kinase (JAK) inhibitor ruxolitinib was approved for patients with PV who are intolerant to or resistant of HU, the most widely used first-line therapy for high-risk patients with PV. However, ruxolitinib is not commonly used in clinical practice15 and there is a need to identify patients who will derive the most benefit from this therapy and to define inadequately controlled PV. This article aims to examine what constitutes inadequate control in PV and explores current treatment strategies. Despite its proven clinical efficacy, the use of IFN-α has been limited by toxicity, and prolonged evaluation of IFN-α in PV is difficult due to high discontinuation rates.29,30 Lower doses of IFN have reduced the toxicity while maintaining efficacy.38 Reduced administration frequency has also been associated with improved tolerability.39 In addition, sustainedrelease preparations such as pegylated IFN-α 2a (Pegasys®, Genentech, California, US) and ropeg IFN-α 2b have been associated with excellent clinical activity and high rates of molecular response, in patients with PV.40–44 However, while pegylated forms are better tolerated than standard IFN-α, toxicity remains a problem: in an analysis of the longterm (median 42 months) use of peg-IFN-α in 103 patients with highrisk essential thrombocythemia, discontinuation was reported in 47% of patients. Of these, 59% discontinued due to toxicity.45 In addition, IFN is less convenient to administer (by subcutaneous injection) than an orally available drug. The use of peg-IFN-α allows a weekly or twicemonthly (with ropeg IFN-α 2b) injection regimen, which is preferred by patients and can also be adjusted for a flexible dosing schedule, for example, when a patient is on holiday. In addition, since peg-IFN-α is not a cytotoxic therapy, patients typically have a more positive emotional response to treatment. Although the ELN guidelines recommend using either HU or IFN (off label) as first-line therapy of high-risk PV,16 other experts proposed some limitations in the use of this drug. For example, Passamonti recommends peg-IFN-α in high-risk females with childbearing potential (but avoiding peg-IFN-α while pregnant); high-risk young patients who refuse HU because of the fear of evolution to leukaemia; and as second-line therapy after HU intolerance or resistance in high-risk young people.46 However, others consider peg-IFN-α safe in pregnancy, highlighting the need for larger clinical studies of peg-IFN-α in PV. To date, efficacy and safety data on IFN is restricted to small cohort studies. Two randomised controlled studies are ongoing47,48 but no data are currently available. The treatment is not approved for PV and is not available for this indication in many European countries. undergone transformation to AML or MF. However, it does not represent a viable treatment option for the vast majority of patients in the chronic phase of the disease, due to the risk of complication.49–51 In addition, most patients with PV are of advanced age and have comorbidities, further increasing the risk of transplant-related mortality. Pipobroman54 and radioactive phosphorus (32P)55 are effective secondline options for patients with a short life expectancy, but they have been associated with a significant rate of transformation to acute leukaemia or myelodysplastic syndrome, so their use should be avoided in younger patients.7,12,26 Busulfan (Myleran®, GlaxoSmithKline, Brentford, UK) can be very effective in elderly patients,56 especially if the patient has concerns regarding medication; a maintenance dose (5–10-day course of 4 mg/day) may be administered weekly. The drug is well tolerated,57 and can also be given as a pulse dose for 5–10 days when the platelet count rises over desired range. In some cases it may only require an average of four pulses a year. While some studies suggest that bulsufan is associated with a significant rate of leukaemic transformations,26,56 a large (n=1,545) study found no such association.7 However, busulfan is clearly mutagenic and carcinogenic, as reported in the summary of product characteristics of this drug. Other novel therapies, including histone deacetylase inhibitors58–60 and heat-shock protein-90 inhibitors,61 are currently being investigated in PV. 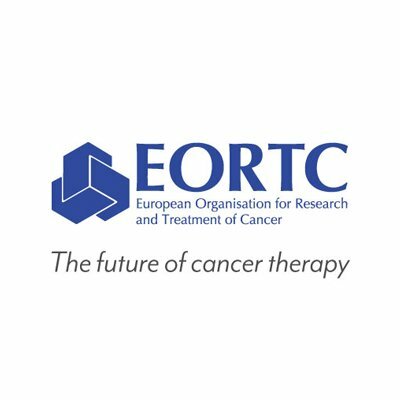 Several other JAK inhibitors have been evaluated in clinical trials for PV, including momelotinib,71 pacritinib72 and fedratinib.73 However, the development of fedratinib has been discontinued, and the programme of pacritinib is currently on hold, waiting for more detailed safety results of phase III studies. A recent prospective study (n=1,334), including a mixture of patients with current and prior therapy use, found the presence of prior HU use, the need for phlebotomy or palpable splenomegaly was associated with an unacceptably high symptom burden, regardless of PV risk category. Patients with all three features had the highest symptom burden.74 The authors suggested that patients with PV who had any of these three features might benefit from ruxolitinib treatment. Response to PV therapy is currently defined according to ELN criteria (see Table 2). We propose that the definition of inadequate response to first-line therapies could be further refined to incorporate five patient types who do not have an adequate response to HU and may benefit from ruxolitinib treatment. Symptom burden can remain high despite treatment with HU. In a 2007 internet survey of 405 patients with PV who were receiving standard treatments, symptoms included: fatigue (85%), pruritus (65%), night sweats (49%), bone pain (43%), fevers (13%), undesired weight loss (10%) and spleen pain (4%). All of these had a significant negative impact on patients’ overall QoL and ability to work.6 A study of patients with myeloproliferative neoplasms (n=1,470) found that distinct clustering of symptom burden exists within PV with significant heterogeneity of symptoms and with significant symptom burdens among all risk categories. The MPN-SAF total symptom score (MPNSAF TSS; MPN-10) is a well-validated instrument for the evaluation of the symptom burden that should be used to better identify patients in need of therapy. In the RESPONSE study, phlebotomy dependence was defined as two or more phlebotomies within 24 weeks prior to screening and at least one within 16 weeks before screening.52 While therapeutic phlebotomy has become the mainstay of treatment, it has limitations. Patients may be intolerant or have a low acceptance, and it may be difficult to gain peripheral vein access.75 In addition, phlebotomy can cause physical and psychological distress if venous access is difficult, and not all patients can tolerate venesections – many feel quite unwell afterwards or require intravenous fluid replacement. Leukocyte activation has been associated with activation of endothelial cells and pro-coagulant responses at sites of vascular injury,78 as well as being associated with thrombosis and major haemorrhage in other myeloproliferative neoplasms.79 In addition, leucocytosis is associated with decreased overall survival in PV.7 In the CYTO-PV study, the platelet count was not significantly different between treatment arms, but the leukocyte (WBC) count was significantly higher in the high-haematocrit group.24 These data highlight the importance of leukocyte count in identifying inadequate response in PV. A sub-analysis of the CYTO-PV study showed that the risk of thrombosis was increased at WBC count >7 x 109/L, which became statistically significant when the WBC count exceeded 11 x 109/L, and suggested that this should be taken into account when evaluating response to therapy in PV.80 Elevated platelet counts may also be an indicator of inadequately controlled PV. Despite advances in treatment, the symptom burden of patients with PV remains high and is often underestimated by physicians focusing on vascular events. 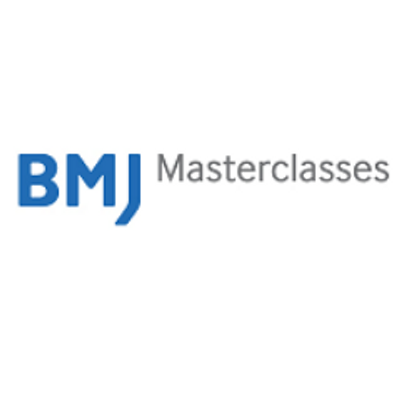 The traditional stratification of patients as ‘highrisk’ and ‘low-risk’ has limitations, and in order to optimise outcomes, it is necessary to redefine inadequate response to treatment. Certain groups of patients with PV may be considered inadequate responders to HU. These include high-risk patients who retain a high symptom burden after HU, require frequent phlebotomy, have an elevated leukocyte count, are intolerant to HU or IFN-α, or have symptomatic splenomegaly. For patients with these factors, ruxolitinib may be a beneficial secondline treatment option, and such expanded indications for the use of ruxolitinib could reduce the symptom burden and improve the QoL of many PV patents. The most important safety concern of younger patients with PV is the potential for transformation into AML or MF. Evidence to date suggests that ruxolitinib is not associated with these risks, but there is a need for further data, including larger clinical trials and real-world data, to assess the long-term risk. 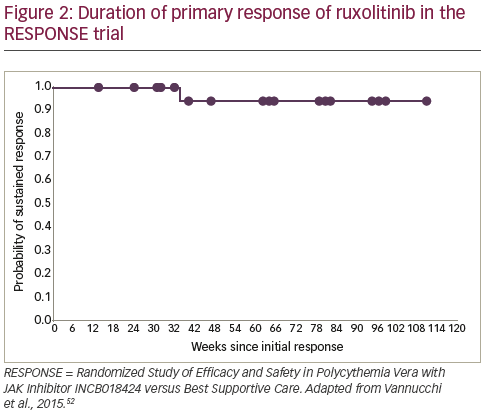 The availability of ruxolitinib has raised the hypothesis that disease elimination may be possible in future by combining a JAK inhibitor and a low dose of IFN; a recent case report shows a rapid decline in the JAK2V617F allele burden following combination therapy, an impressive finding that warrants further investigation.87 In conclusion, the development of ruxolitinib represents a major breakthrough for patients with PV as it has the potential to reduce disease burden and substantially improve QoL in many patients with inadequately controlled PV for whom effective treatment opportunities have been limited. 1. Tefferi A, Vardiman JW, Classification and diagnosis of myeloproliferative neoplasms: the 2008 World Health Organization criteria and point-of-care diagnostic algorithms, Leukemia, 2008;22:14–22. 2. Spivak JL, Polycythemia vera: myths, mechanisms, and management, Blood, 2002;100:4272–90. 3. Leukemia and Lymphoma Society, Polycythemia Vera Facts, FS13, revised April 2015. Available at: www.lls.org/sites/default/ files/file_assets/FS13_PolycythemiaVera_FactSheet_final5.1.15. pdf (accessed 4 December 2015). 4. Cassinat B, Laguillier C, Gardin C, et al., Classification of myeloproliferative disorders in the JAK2 era: is there a role for red cell mass?, Leukemia, 2008;22:452–3. 5. Scherber R, Dueck AC, Johansson P, et al., The Myeloproliferative Neoplasm Symptom Assessment Form (MPN-SAF): international prospective validation and reliability trial in 402 patients, Blood, 2011;118:401–8. 6. Mesa RA, Niblack J, Wadleigh M, et al., The burden of fatigue and quality of life in myeloproliferative disorders (MPDs): an international Internet-based survey of 1179 MPD patients, Cancer/ 2007;109:68–76. 7. Tefferi A, Rumi E, Finazzi G, et al., Survival and prognosis among 1545 patients with contemporary polycythemia vera: an international study, Leukemia, 2013;27:1874–81. 8. Hernandez-Boluda JC, Alvarez-Larran A, Gomez M, et al., Clinical evaluation of the European LeukaemiaNet criteria for clinicohaematological response and resistance/intolerance to hydroxycarbamide in essential thrombocythaemia, Br J Haematol, 2011;152:81–8. 9. Finazzi G, Caruso V, Marchioli R, et al., Acute leukemia in polycythemia vera: an analysis of 1638 patients enrolled in a prospective observational study, Blood, 2005;105:2664–70. 10. Passamonti F, Rumi E, Pungolino E, et al., Life expectancy and prognostic factors for survival in patients with polycythemia vera and essential thrombocythemia, Am J Med, 2004;117:755–61. 11. Barosi G, Mesa RA, Thiele J, et al., Proposed criteria for the diagnosis of post-polycythemia vera and post-essential thrombocythemia myelofibrosis: a consensus statement from the International Working Group for Myelofibrosis Research and Treatment, Leukemia, 2008;22:437–8. 12. Kiladjian JJ, Chevret S, Dosquet C, et al., Treatment of polycythemia vera with hydroxyurea and pipobroman: final results of a randomized trial initiated in 1980, J Clin Oncol, 2011;29:3907–13. 13. Passamonti F, Malabarba L, Orlandi E, et al., Polycythemia vera in young patients: a study on the long-term risk of thrombosis, myelofibrosis and leukemia, Haematologica, 2003;88:13–8. 14. Abelsson J, Andreasson B, Samuelsson J, et al., Patients with polycythemia vera have worst impairment of quality of life among patients with newly diagnosed myeloproliferative neoplasms, Leuk Lymphoma, 2013;54:2226–30. 15. Tefferi A, Barbui T, Essential Thrombocythemia and Polycythemia Vera: Focus on Clinical Practice, Mayo Clin Proc ,2015;90:1283–93. 16. 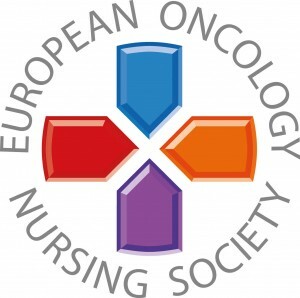 Barbui T, Barosi G, Birgegard G, et al., Philadelphia-negative classical myeloproliferative neoplasms: critical concepts and management recommendations from European LeukemiaNet, J Clin Oncol , 2011;29:761–70. 17. Finazzi G, Barbui T, Evidence and expertise in the management of polycythemia vera and essential thrombocythemia, Leukemia , 2008;22:1494–502. 18. 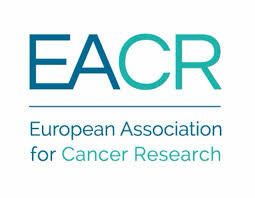 Vannucchi AM, Barbui T, Cervantes F, et al., Philadelphia chromosome-negative chronic myeloproliferative neoplasms: ESMO Clinical Practice Guidelines for diagnosis, treatment and follow-up, Ann Oncol , 2015;26 Suppl 5:v85–99. 19. 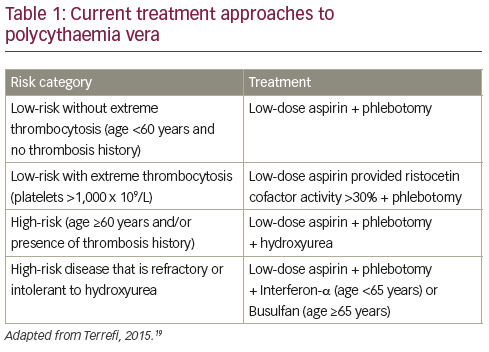 Tefferi A, Barbui T, Polycythemia vera and essential thrombocythemia: 2015 update on diagnosis, risk-stratification and management, Am J Hematol , 2015;90:162–73. 20. Berk PD, Goldberg JD, Donovan PB, et al., Therapeutic recommendations in polycythemia vera based on Polycythemia Vera Study Group protocols, Semin Hematol , 1986;23:132–43. 21. Landolfi R, Marchioli R, Kutti J, et al., Efficacy and safety of low-dose aspirin in polycythemia vera, N Engl J Med , 2004;350:114–24. 22. Alvarez-Larrán A, Pérez-Encinas M, Ferrer-Marin F, Risk of thrombosis according to need of phlebotomies in patients with polycythemia vera treated with hydroxyurea, Haematologica , 2016.152769 [Epub ahead of print]. 23. Tefferi A, Fonseca R, Selective serotonin reuptake inhibitors are effective in the treatment of polycythemia vera-associated pruritus, Blood, 2002;99:2627. 24. Marchioli R, Finazzi G, Specchia G, et al., Cardiovascular events and intensity of treatment in polycythemia vera, N Engl J Med, 2013;368:22–33. 25. 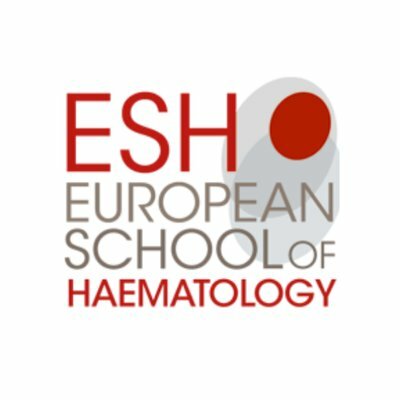 Emanuel R, Marchioli, R., Dueck, A., et al., Impact of hematocrit on symptom burden among polycythemia vera patients, European Hematology Association Annual Meeting Abstracts. p 276. (EHA18ABSSUB-4343), 2013. 26. 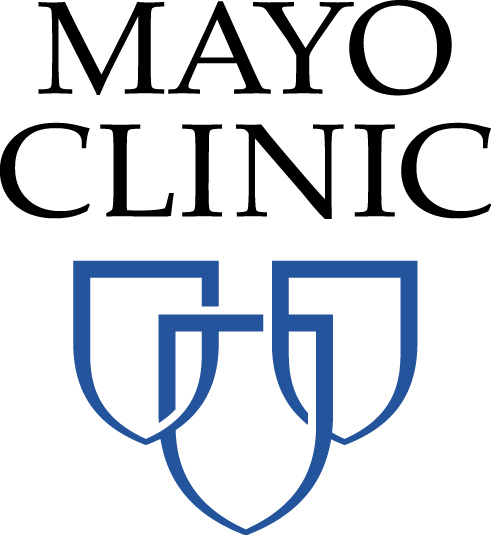 Bjorkholm M, Derolf AR, Hultcrantz M, et al., Treatment-related risk factors for transformation to acute myeloid leukemia and myelodysplastic syndromes in myeloproliferative neoplasms, J Clin Oncol, 2011;29:2410–5. 27. Fruchtman SM, Mack K, Kaplan ME, et al., From efficacy to safety: a Polycythemia Vera Study group report on hydroxyurea in patients with polycythemia vera, Semin Hematol, 1997;34:17–23. 28. Mascarenhas J, Mesa R, Prchal J, et al., Optimal therapy for polycythemia vera and essential thrombocythemia can only be determined by the completion of randomized clinical trials, Haematologica, 2014;99:945–9. 29. Weinfeld A, Swolin B, Westin J, Acute leukaemia after hydroxyurea therapy in polycythaemia vera and allied disorders: prospective study of efficacy and leukaemogenicity with therapeutic implications, Eur J Haematol, 1994;52:134–9. 30. Tatarsky I, Sharon R, Management of polycythemia vera with hydroxyurea, Semin Hematol, 1997;34:24–8. 31. Kiladjian JJ, Rain JD, Bernard JF, et al., Long-term incidence of hematological evolution in three French prospective studies of hydroxyurea and pipobroman in polycythemia vera and essential thrombocythemia, Semin Thromb Hemost, 2006;32:417–21. 32. Kiladjian JJ, Giraudier S, Cassinat B, Interferon-alpha for the therapy of myeloproliferative neoplasms: targeting the malignant clone, Leukemia, 2016;30:776–81. 33. 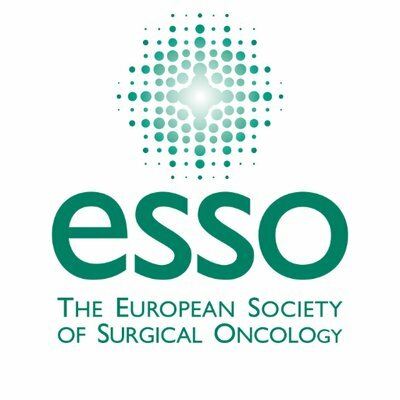 Barosi G, Birgegard G, Finazzi G, et al., A unified definition of clinical resistance and intolerance to hydroxycarbamide in polycythaemia vera and primary myelofibrosis: results of a European LeukemiaNet (ELN) consensus process, Br J Haematol, 2010;148:961–3. 34. Alvarez-Larran A, Pereira A, Cervantes F, et al., Assessment and prognostic value of the European LeukemiaNet criteria for clinicohematologic response, resistance, and intolerance to hydroxyurea in polycythemia vera, Blood, 2012;119:1363–9. 35. Antonioli E, Guglielmelli P, Pieri L, et al., Hydroxyurea-related toxicity in 3,411 patients with Ph’-negative MPN, Am J Hematol, 2012;87:552–4. 36. Silver RT, Interferon-alpha 2b: a new treatment for polycythemia vera, Ann Intern Med, 1993;119:1091–2. 37. Kiladjian JJ, Mesa RA, Hoffman R, The renaissance of interferon therapy for the treatment of myeloid malignancies, Blood, 2011;117:4706–15. 38. Silver RT, Kiladjian JJ, Hasselbalch HC, Interferon and the treatment of polycythemia vera, essential thrombocythemia and myelofibrosis, Expert Rev Hematol, 2013;6:49–58. 39. Gisslinger H, Buxhofer-Ausch, V., Thaler, J. et al, Switch from Every Two Weeks to Every Four Weeks Administration Schedule of AOP2014, an Innovative Pegylated Interferon Alpha, in Polycythemia Vera Patients Allows Maintaining of Efficacy with Improved Toxicity Profile in Phase I/II Study Presented at the 56th ASH Annual Meeting and Exposition, December 6–9, 2014, San Francisco, CA, abstract 3177, 2014. 40. Gisslinger H, Zagrijtschuk O, Buxhofer-Ausch V, et al., Ropeginterferon alfa-2b, a novel IFNalpha-2b, induces high response rates with low toxicity in patients with polycythemia vera, Blood, 2015;126:1762–9. 41. Quintas-Cardama A, Kantarjian H, Manshouri T, et al., Pegylated interferon alfa-2a yields high rates of hematologic and molecular response in patients with advanced essential thrombocythemia and polycythemia vera, J Clin Oncol, 2009;27:5418–24. 42. Kiladjian JJ, Cassinat B, Chevret S, et al., Pegylated interferonalfa- 2a induces complete hematologic and molecular responses with low toxicity in polycythemia vera, Blood, 2008;112:3065–72. 43. Quintas-Cardama A, Abdel-Wahab O, Manshouri T, et al., Molecular analysis of patients with polycythemia vera or essential thrombocythemia receiving pegylated interferon alpha-2a, Blood, 2013;122:893–901. 44. Lu M, Zhang W, Li Y, et al., Interferon-alpha targets JAK2V617Fpositive hematopoietic progenitor cells and acts through the p38 MAPK pathway, Exp Hematol, 2010;38:472–80. 45. Roy L, Ianotto JC, Guilhot J, et al., Long Term Efficacy and Tolerance of Pegylated Interferon Alpha Therapy for Patients with High Risk Essential Thrombocythemia: An Observational Study of the French Intergroup of Myeloproliferative Disorders (FIM) Presented at the 56th ASH Annual Meeting and Exposition, December 6–9, 2014, San Francisco, CA; Abstract 1845, 2014. 46. Passamonti F, How I treat polycythemia vera, Blood, 2012;120:275–84. 47. clinicaltrials.gov, Randomized Trial of Pegylated Interferon Alfa- 2a Versus Hydroxyurea in Polycythemia Vera (PV) and Essential Thrombocythemia (ET). 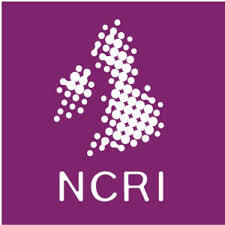 Available at: https://clinicaltrials.gov/ ct2/show/NCT01259856; Accessed 4 December 2015. 48. NCT01949805, Pegylated Interferon Alpha-2b Versus Hydroxyurea in Polycythemia Vera (PROUD-PV). Available at: https://clinicaltrials. gov/ct2/show/NCT01949805 Accessed 27 June 2016. 49. Kerbauy DM, Gooley TA, Sale GE, et al., Hematopoietic cell transplantation as curative therapy for idiopathic myelofibrosis, advanced polycythemia vera, and essential thrombocythemia, Biol Blood Marrow Transplant, 2007;13:355–65. 50. Ballen KK, Woolfrey AE, Zhu X, et al., Allogeneic hematopoietic cell transplantation for advanced polycythemia vera and essential thrombocythemia, Biol Blood Marrow Transplant, 2012;18:1446–54. 51. Lussana F, Rambaldi A, Finazzi MC, et al., Allogeneic hematopoietic stem cell transplantation in patients with polycythemia vera or essential thrombocythemia transformed to myelofibrosis or acute myeloid leukemia: a report from the MPN Subcommittee of the Chronic Malignancies Working Party of the European Group for Blood and Marrow Transplantation, Haematologica, 2014;99:916–21. 52. Vannucchi AM, Kiladjian JJ, Griesshammer M, et al., Ruxolitinib versus standard therapy for the treatment of polycythemia vera, N Engl J Med, 2015;372:426–35. 53. Vannucchi AM, Ruxolitinib versus standard therapy for the treatment of polycythemia vera, N Engl J Med, 2015;372:1670–1. 54. Kiladjian JJ, Gardin C, Renoux M, et al., Long-term outcomes of polycythemia vera patients treated with pipobroman as initial therapy, Hematol J, 2003;4:198–207. 55. Berlin NI, Treatment of the myeloproliferative disorders with 32P, Eur J Haematol, 2000;65:1–7. 56. Alvarez-Larran A, Martinez-Aviles L, Hernandez-Boluda JC, et al., Busulfan in patients with polycythemia vera or essential thrombocythemia refractory or intolerant to hydroxyurea, Ann Hematol, 2014;93:2037–43. 57. Vannucchi AM, How I treat polycythemia vera, Blood, 2014;124:3212–20. 58. 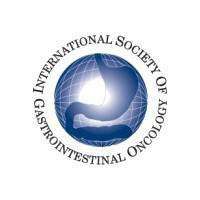 Rambaldi A, Dellacasa CM, Finazzi G, et al., A pilot study of the Histone-Deacetylase inhibitor Givinostat in patients with JAK2V617F positive chronic myeloproliferative neoplasms, Br J Haematol, 2010;150:446–55. 59. Finazzi G, Vannucchi AM, Martinelli V, et al., A phase II study of Givinostat in combination with hydroxycarbamide in patients with polycythaemia vera unresponsive to hydroxycarbamide monotherapy, Br J Haematol, 2013;161:688–94. 60. Andersen CL, McMullin MF, Ejerblad E, et al., A phase II study of vorinostat (MK-0683) in patients with polycythaemia vera and essential thrombocythaemia, Br J Haematol, 2013;162:498–508. 61. Kucine N, Marubayashi S, Bhagwat N, et al., Tumor-specific HSP90 inhibition as a therapeutic approach in JAK-mutant acute lymphoblastic leukemias, Blood, 2015;126:2479–83. 62. 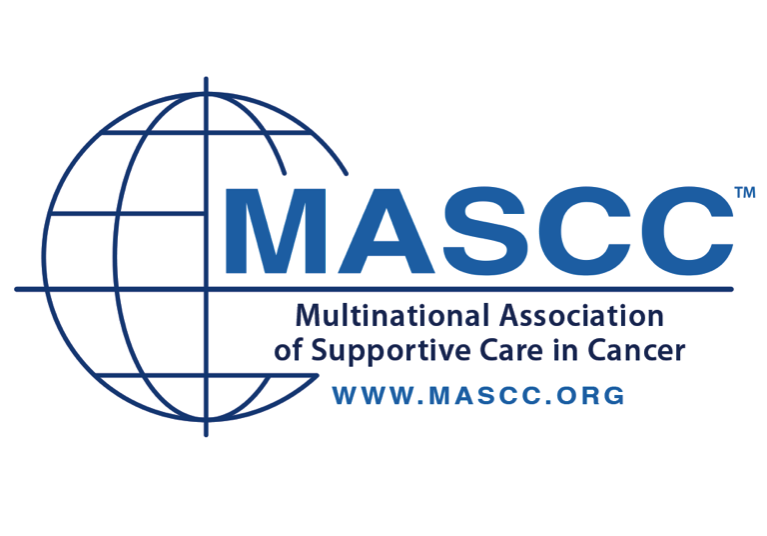 Harrison C, Kiladjian JJ, Al-Ali HK, et al., JAK inhibition with ruxolitinib versus best available therapy for myelofibrosis, N Engl J Med, 2012;366:787–98. 63. Passamonti F, Maffioli M, Caramazza D, et al., Myeloproliferative neoplasms: from JAK2 mutations discovery to JAK2 inhibitor therapies, Oncotarget , 2011;2:485–90. 64. Rampal R, Al-Shahrour F, Abdel-Wahab O, et al., Integrated genomic analysis illustrates the central role of JAK-STAT pathway activation in myeloproliferative neoplasm pathogenesis, Blood , 2014;123:e123–33. 65. Verstovsek S, Passamonti F, Rambaldi A, et al., A phase 2 study of ruxolitinib, an oral JAK1 and JAK2 Inhibitor, in patients with advanced polycythemia vera who are refractory or intolerant to hydroxyurea, Cancer , 2014;120:513–20. 66. EMA, Jakavi. Available at: www.ema.europa.eu/ema/index. jsp?curl=pages/medicines/human/medicines/002464/human_ med_001568.jsp&mid=WC0b01ac058001d124; (accessed 3 December 2015). 67. FDA, FDA News Release: FDA approves Jakafi to treat patients with a chronic type of bone marrow disease, December 4, 2014. Available at: www.fda.gov/NewsEvents/Newsroom/ PressAnnouncements/ucm425677.htm (accessed 4 December 2015). 68. 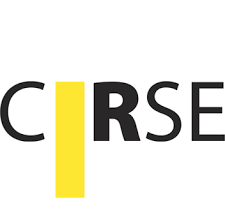 Verstovsek S, Vannucchi AM, Griesshammer M, et al., Ruxolitinib in polycythemia vera: Follow-up from the RESPONSE trial., J Clin Oncol , 2015;33 (suppl; abstr 7087). 69. 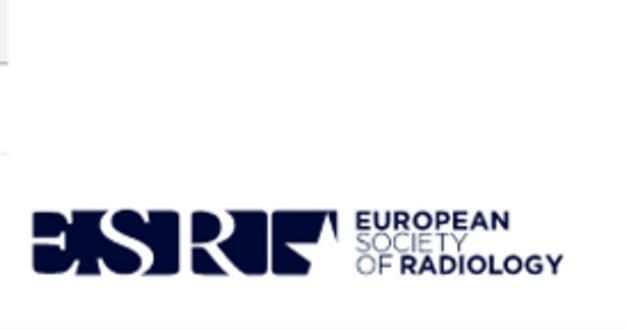 Passamonti F, Griesshammer M, Palandri F, et al., Ruxolitinib proves superior to best available therapy in patients with polycythemia vera (PV) and a nonpalpable spleen: Results from the Phase IIIb RESPONSE-2 Study. Abstract #S112. 21st Congress of the European Hematology Association (EHA), Copenhagen, Denmark, 2016. 70. Mesa R., Vannucchi AM, Yacoub A, et al., The efficacy and safety of continued hydroxyurea therapy versus switching to ruxolitinib in patients with plycythemia vera: A randomized, double-blind, double-dummy, symptom study (RELIEF). Presented at the American Society of Hematology Annual Meeting, December 6–9, 2014, San Francisco, CA. Abstract no 3168. 71. NCT02124746, Long-term Safety and Efficacy of Momelotinib in Subjects With Primary Myelofibrosis, Post-polycythemia Vera Myelofibrosis, Post-essential Thrombocythemia Myelofibrosis, Polycythemia Vera or Essential Thrombocythemia. Available at: https://clinicaltrials.gov/ct2/show/NCT02124746 (accessed 2 February 2016). 72. 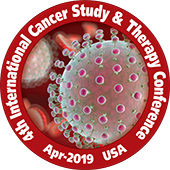 Komrokji R, Wadleigh M, Seymour J, et al., Results of a phase 2 study of pacritinib (SB1518), a novel oral JAK2 inhibitor, in patients with primary, post-polycythemia vera, and postessential thrombocythemia myelofibrosis, ASH Annual Meeting Abstracts 118: 282, 2011. 73. Pardanani A, Harrison C, Cortes JE, et al., Safety and Efficacy of Fedratinib in Patients With Primary or Secondary Myelofibrosis: A Randomized Clinical Trial, JAMA Oncol , 2015;1:643–51. 74. Geyer H, Scherber R, Kosiorek H, et al., Symptomatic Profiles of Patients With Polycythemia Vera: Implications of Inadequately Controlled Disease, J Clin Oncol , 2016;34:151–9. 75. Assi TB, Baz E, Current applications of therapeutic phlebotomy, Blood Transfus , 2014;12 Suppl 1:s75–83. 76. Tobiasson M, Alyass B, Soderlund S, et al., High prevalence of restless legs syndrome among patients with polycytemia vera treated with venesectio, Med Oncol , 2010;27:105–7. 77. Kim J, Wessling-Resnick M, Iron and mechanisms of emotional behavior, J Nutr Biochem , 2014;25:1101–7. 78. Falanga A, Marchetti M, Evangelista V, et al., Polymorphonuclear leukocyte activation and hemostasis in patients with essential thrombocythemia and polycythemia vera, Blood , 2000;96:4261–6. 79. Campbell PJ, MacLean C, Beer PA, et al., Correlation of blood counts with vascular complications in essential thrombocythemia: analysis of the prospective PT1 cohort, Blood, 2012;120:1409–11. 80. Barbui T, Masciulli A, Marfisi MR, et al., White blood cell counts and thrombosis in polycythemia vera: a subanalysis of the CYTO-PV study, Blood, 2015;126:560–1. 81. 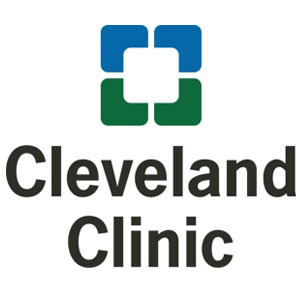 Harrison CN, Campbell PJ, Buck G, et al., Hydroxyurea compared with anagrelide in high-risk essential thrombocythemia, N Engl J Med, 2005;353:33–45. 82. Gisslinger H, Gotic M, Holowiecki J, et al., Anagrelide compared with hydroxyurea in WHO-classified essential thrombocythemia: the ANAHYDRET Study, a randomized controlled trial, Blood, 2013;121:1720–8. 83. Alvarez-Larran A, Kerguelen A, Hernandez-Boluda JC, et al., Frequency and prognostic value of resistance/intolerance to hydroxycarbamide in 890 patients with polycythaemia vera, Br J Haematol, 2016;172:786–93. 84. Kiladjian JJ, Chomienne C, Fenaux P, Interferon-alpha therapy in bcr-abl-negative myeloproliferative neoplasms, Leukemia, 2008;22:1990–8. 85. 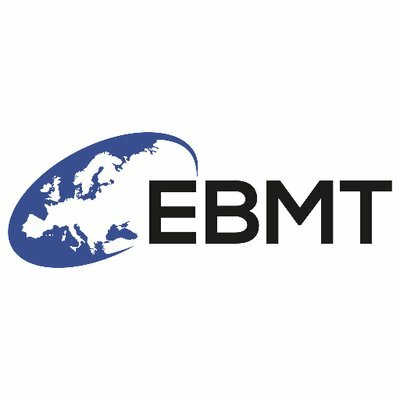 Abdulkarim K, Ridell B, Johansson P, et al., The impact of peripheral blood values and bone marrow findings on prognosis for patients with essential thrombocythemia and polycythemia vera, Eur J Haematol, 2011;86:148–55. 86. Davis KL, Cote I, Kaye JA, et al., Real-World Assessment of Clinical Outcomes in Patients with Lower-Risk Myelofibrosis Receiving Treatment with Ruxolitinib, Adv Hematol, 2015;2015:848473. 8. 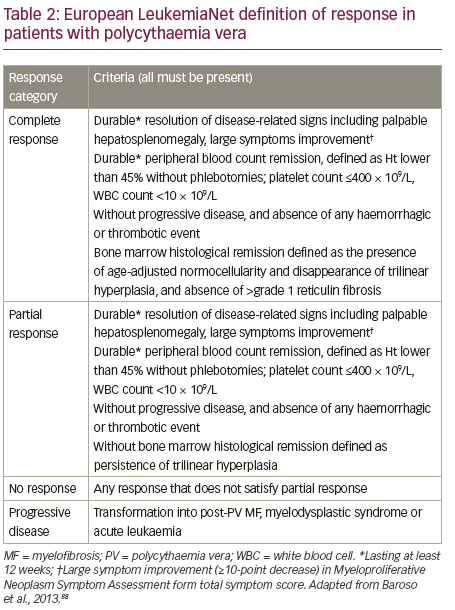 Barosi G, Mesa R, Finazzi G, et al., Revised response criteria for polycythemia vera and essential thrombocythemia: an ELN and IWG-MRT consensus project, Blood, 2013;121:4778–81.